American race car driver who began his NASCAR career in 2007. He began racing competitively at the age of 12. He won the 2009 AAA Insurance 200 race in Dover. 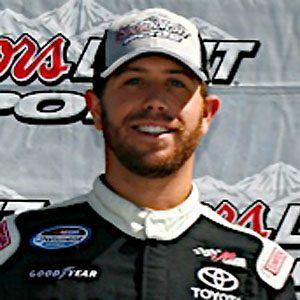 His father J.B. was the owner of the NASCAR Camping World Truck Series team Xpress Motorsports. He was released from JGR racing when they signed Elliott Sadler in 2012.